So E3 has been and gone for another year. As always plenty of announcements were made both for games and consoles and there will be plenty of new titles coming to consoles over the next 12 months. Check out our top 5 favourite bits from the event. So with E3 over with for another year, we thought we'd recap some of the highlights for us, take a look at what we're looking forward to most! Being a massive fan of open world racing games, Forza Horizon has been a favourite of ours since the first game was released. 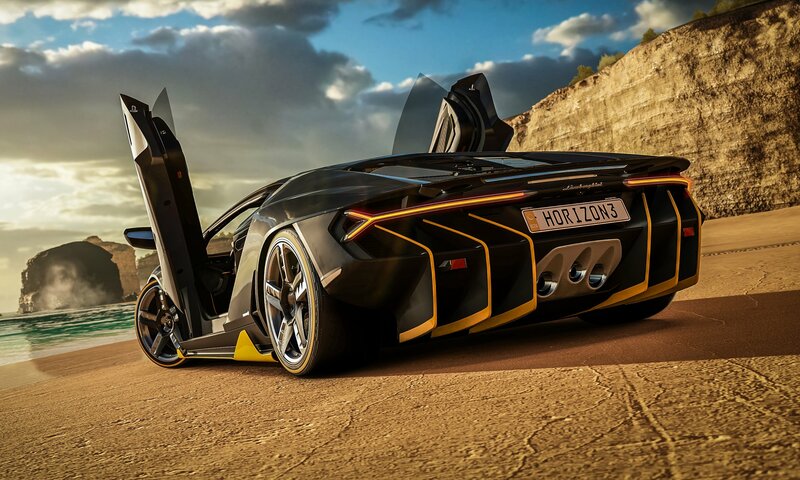 The newest release will be set in Australia with a map twice as big as Horizon 2. Serious stuff! Days Gone is an open-world action-adventure game set in a harsh wilderness two years after a devastating global pandemic. It looks like a mix of the last of us, sons of anarchy and dead rising all in one. Hopefully it lives up to this trailer because it looks like it may well become one of the greatest games in recent times! After the highly anticipated (and incredibly delayed) release of Watch Dogs, many have been waiting for a sequal. The first game was a bit marmite for most, you either loved it or hated it. The second game does look brilliant, but we will have to see what it turns out like once its released and see if Ubisoft downgrade it..
Not a game announcement, but a console announcement. The most powerful console ever. Project Scorpio looks to really take gaming to the next level with 4k res. Something gamers and devs have been wanting for a while. Project Scorpio is due to drop Holiday 2017. Gran Turismo Sport. Probably the most well known racing game known to console. It's been a while since Gran Turismo have released anything so let's hope the latest game in the series will give PS4 fans something to celebrate. There’s certainly a lot to look forward to over the next 12-18 months from both new games and new tech. What did you think to E3 this year, what are you looking forward to most? Let us know in the comments!